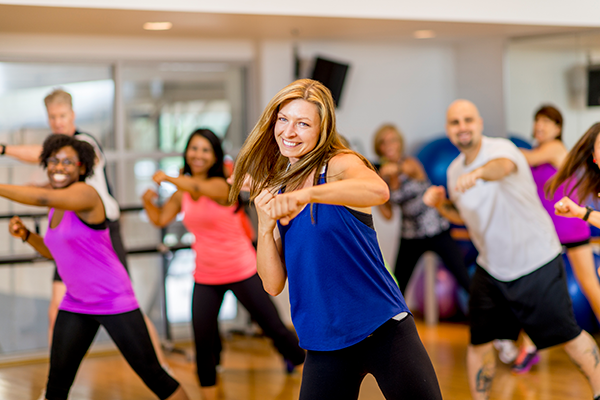 If you've ever wanted to try a cardio kickboxing class in Sacramento but were intimidated by the intensity, California Family Fitness is the best place to get started! Like with our other group fitness classes, the instructors can help you adjust the movements to your current level of fitness. Whether you’re familiar with cardio kickboxing or not, you’ll get the most out of your workout with our high-powered cardio kickboxing classes. You’ll not only burn through calories at lightening speed, but you’ll improve your overall physical condition and start feeling like a warrior. Meet a Cal Fit Kickboxing Instructor! Favorite exercise move: Squat kicks and more squat kicks! Reason for becoming a kickboxing instructor: Being that I had a love and passion for martial arts, a fellow Tae Kwon Do instructor thought it would be fun to get certified in teaching cardio kickboxing and I was just tagging along. After getting certified and almost twenty-two years later, I was hooked and haven't stopped since. How are your classes different from other kickboxing classes in the area? My kickboxing class offers various modifications to each exercise where a beginner can easily follow and complete the class as well as challenge the more advanced students while having a lot of fun. Most impressive goal you've seen a member achieve: There are so many members that I have been fortunate to have witnessed achieve their goals through the years. One of the most impressive goals to me is a few members taking my class for over 15 years regularly even after they have met their fitness goals. 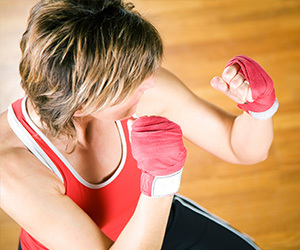 You can start getting a great workout right from your first kickboxing class. The moves are fairly simple, so the choreography isn't too complicated. You don't need to buy or bring any equipment — just your enthusiasm! Cardio kickboxing classes typically include a warm up and cool down segment, and may incorporate core strength building exercises like planks or crunches. Turbo Kick blends intense intervals, strength, and endurance training to give you a high-powered workout you can’t get enough of. The combination of intense cardio kickboxing and dance moves will leave you sweating, pumped, and ready to take on the world! 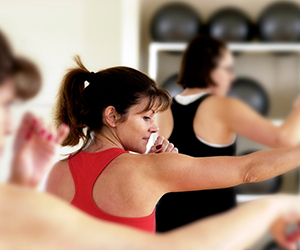 Our Turbo Kick kickboxing classes are the perfect fit for those looking for a physical challenge. While reaping the benefits of a high-intensity workout, you’ll also be able to enjoy a burst of energy through fun and dance. Why Take a Kickboxing Class? Are you ready to feel amazing? Cal Fit members just need to find a class on the schedule above. If you're not a member yet, we have plenty of special offers to entice you! Bring a towel — you will sweat! Don't eat a heavy meal right before class. We recommend a light snack at least an hour before. You can pile on the protein after class! Use the correct form for each movement, and ask the instructor if you need guidance. It's better to take it slow until you get the hang of it. Remember to breathe! The pros inhale when they bring their arms in, and exhale when they extend. Return to the full list of group fitness classes.